Ack! It’s Back-to-School shopping season! How much is this going to cost me? Will I ever find everything I need? I think I’m stressed already. What if I could laugh about it instead? Yes, what if I could poke fun at all the craziness of back to school in a little blog post? A Michigan mother of four has saved $5.17 on $244 worth of school supplies. Molly Miser, tears in her eyes, states that if she can do it, then you can do it, too. Here are her favorite thrifty Back-to-School shopping tips. Miser is confident that if you use these thrifty tips, then you can save as much money as she did. How will she use the $5.17 windfall this year? “I’ll splurge on something fun, like one Dairy Queen Blizzard we can all share,” she comments. Did you laugh? I hope so! 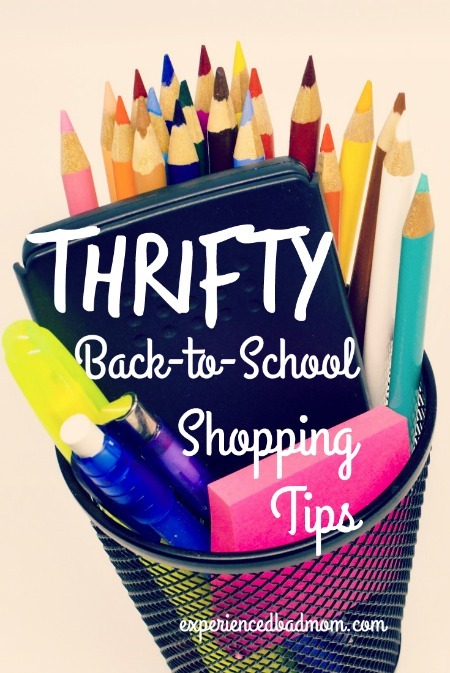 What’s your favorite thrifty back-to-school shopping tip? That car battery moment is just Typikel, right? UGH. Truly annoying that one. We don’t get our classroom specific lists until a week before school starts. I’m usually diving into the bins as they drag them into the backroom while bringing out the Halloween gear. So funny! I’m avoiding school supply shopping, although I did put together my three lists for my three school-age kids so I know what I need to get when I can’t put it off any longer. I’m seeing people in AZ go back to school so I actually did the adult thing and looked up the supply list on my kids’ school websites. I guess I’m prepared–and an adult now! There are some amazing deals on BTS supplies to be had this time of year. I literally hate when one of my kids needs something in, say, March and I have to pay full price! I am not looking forward to back to school shopping! Our lists are usually pretty basic, but the kids always want to sparkly, special stuff and then they don’t even end up using it!! This is hilarious. I feel like dumpster diving now! Kidding. I mostly just stick to Target, Walmart, and HEB. I was inspired by some of those Extreme Cheapskates shows I’ve seen. I cannot imagine dumpster diving unless my life depended on it! Yikes. I wish I would have kept my kitten Trapper Keeper or my CareBear pencils. Both are back in style, right? Funny post. I’m more into the green items and those aren’t that cheap. I’m sure I can find good deals on them, too. Stay tuned, maybe there will be a recycleable go-gurt notebook. I’m sure there is someone out there scoring deals on green items – or upcycling their own! 🙂 Thanks for dropping by. Thanks for sharing your humor with us at #MMBH! Congrats on the SheKnows feature! I like shopping for BTS supplies when I can get deals. When I can’t, grrr!